4 Bedroom House For Sale in Warrington for £260,000. This impressive detached home overlooks a woodland area and is set at the bottom of a cul-de-sac with just two other properties. 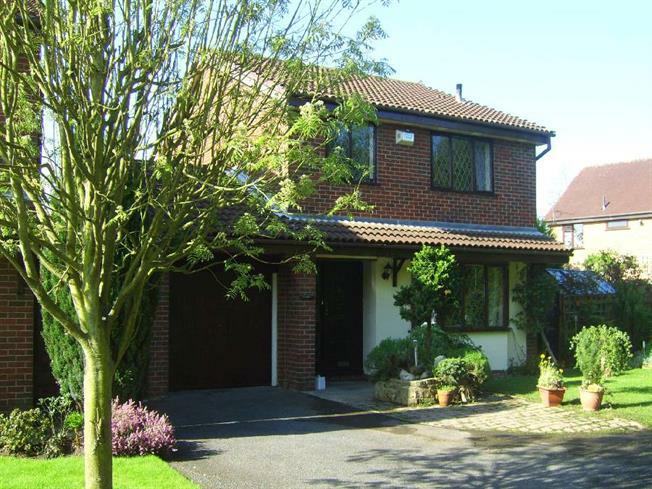 With parking for many cars and an integral garage this property would suit a modern family. Briefly comprising of hallway access to the lounge and modern kitchen which in turn gives access to the dining room and Victorian style conservatory. Also to the ground floor is the utility room and cloakroom/w.c. The first floor offers landing access to the modern family bathroom and four bedrooms with the master benefiting from an en-suite shower room. The gardens surround the property and feature established lawned areas and borders with a feature pond area. Viewing is recommended to appreciate this well positioned property.